Costa is synonymous with quality! 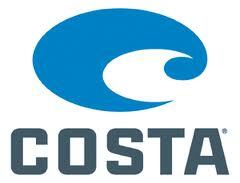 Costa Del Mar makes some of the nicest fishing sunglasses on the market today! Not only are they stylish, but they are functional as well. Costa has harnessed the most advanced technology to create the clearest sunglasses possible. Choose from glass or plastic lenses and get ready to see the water in a way you never thought possible!